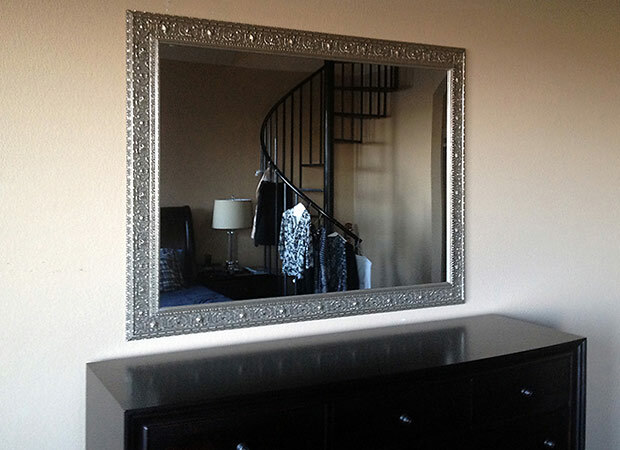 Texas Custom Mirrors designed a beautiful silver framed mirror in San Antonio. This framed mirror was 60″ inches by 40″ inches and made to perfectly fit above a cabinet in the dining room area. Our dining room mirrors can perfectly match your furniture and decor. This silver mirror was ornate but simple in design. 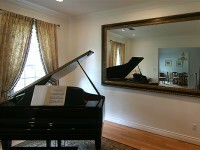 Texas Custom Mirrors delivered and installed this mirror to a client in San Antonio, Texas. We offer design services, delivery and installation in all Major Texas cities including San Antonio, Austin, Houston, Waco, Dallas and Fort Worth.